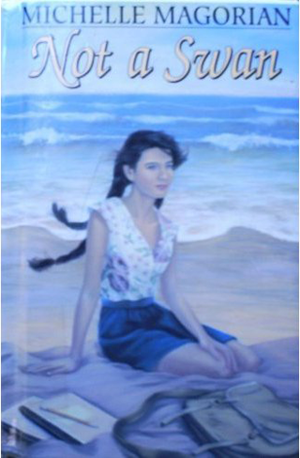 “…set in the forties, teenage tomboy Rose and her beautiful sister Diana fend for themselves in a remote cottage in the sleepy English seaside town to which they have been evacuated. In diaries hidden in a locked room, Rose unearths a tragic tale of thwarted love which becomes increasingly real to her as she finds that she is falling in love herself. 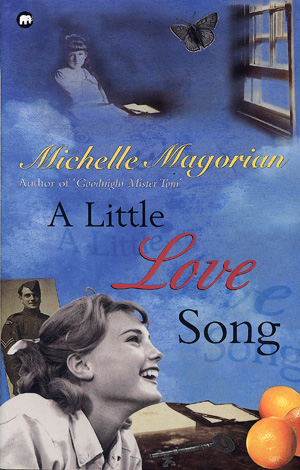 A Little Love Song borrows its title and a number of its references from music hall songs and measures the lives of women between the two world wars and is a chilling testimonial to those who stepped out of line. Hilda’s diaries record her life in an asylum, her “madness” and illegitimate child. In A Little Love Song Rose’s affair with Alec is complicated by his slow recovery from his breakdown after being invalided at Dunkirk. The activities of reading and writing are intertwined with the discovery of adult identity and sexuality. Rose’s changing attitude towards “Mad” Hilda’s Diary is also a measure of new found maturity. Like Hilda, Rose sees herself as plain and unmarriageable but finds love. The experiences of Rose’s friend Dot suggest that the world does not look any more kindly on unmarried mothers a generation later. But Rose has found tolerance and sympathy through her reading of the diaries.